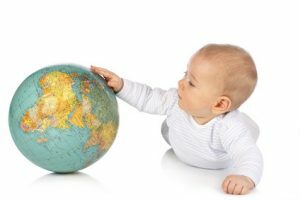 “Everything for my baby” – this was the idea that led to the foundation of windeln.de in 2010 and has since then helped to make windeln.de SE one of the leading online retailers specialized in baby and toddler products in Europe. The company also operates a successful cross-border-e-commerce business with customers in China. Our products encompass the whole range from diapers and baby food, children’s furniture, toys and clothing to baby monitors and children car seats as well as cosmetic and partnership products for parents. We win customers with entry products like diapers and baby food and cross sell into higher-margin products. As specialist for baby, children and family products, we want to accompany and support families on their way. in Spain, Portugal and France. 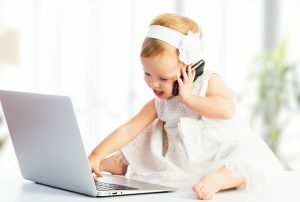 The market for baby, toddler and children’s products has great potential. Based on the growing affinity of families for online shopping, we expect that consumers in this area will continue to move from stationary to online retail – and we intend to benefit from this trend. We also want to further expand our market position in the cross-border e-commerce market in China, which is spurred by the demand from Chinese customers for well-known and trusted European, especially German, brands. Our quick, reliable and convenient delivery of products essential to everyday life helps us to win the trust and loyalty of our customers. Through continuous, careful reviews of our product range, we aim to optimize the offer for our existing customers and to win new customers with our expertise. We offer everything in our shops for the needs of families. This includes diapers and food, higher-margin products such as car seats, baby toys, furniture and clothing, as well as products for young families and couples. windeln.de receives Tmall Global Award for "most popular international brand"